You would think a flagpole company is the spot where you would get the most choices when selecting from a variety of poles. Northern California Playworks is San Jose’s top selection as a provider for clients looking for the needs of a commercial flagpole company. 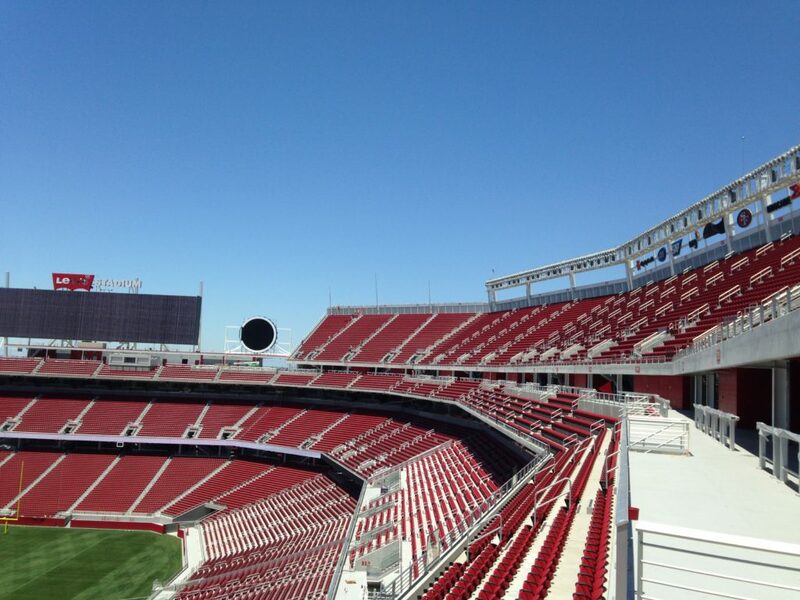 We had the opportunity to place flagpoles at Levi Stadium and the Avaya Stadium. We are much more than just commercial flagpoles, provided by our flagpole company partners. Sure, we have plenty different types of commercial grade flagpoles to choose from, but we also stock tons of other residential flagpoles, too. Come to the our location to find what a commercial flagpole company can provide. Whatever your need may be including a school, church, stadium or government type property. You can even design your own custom flagpole, if you can’t find the precise type you’re looking for within our vast collection. A custom commercial flagpole is also a great choice for business owners looking for new ways to display their flags. But that’s not all. We sell tons of different types of flagpoles as well. Whether it’s the height or type of material, we got you covered. Great Flagpole Company, Awesome Staff! Over the last 12 years here at Wysong Construction we have utilized Northern California Playworks, Inc. We have used their services for playground equipment, commercial flagpoles and fitness equipment. From inception of bidding to the closure of delivered material your firm has been stellar. The quotations are timely and aggressively priced. Submittals were complete and excellent communication and service for shipments and delivery. No matter what the issue were you were always there to listen. You formulated a plan of action and followed through with the highest of expectations (even on the weekends…remember Delano?). Your experience and problem solving skills has been paramount in our working relationship. To view more reviews or leave your own, go to our Yelp page! To learn more about our commercial flagpole or residential options, please call 408.557.0462. You may also fill out or “Inquiry Form”. One of our representatives from Northern California Playworks, Inc. will get back with you shortly. Click Here! Norcal Playworks in San Jose is a major provider of commercial playground equipment, outdoor athletic equipment, and much more, for schools and parks in Santa Clara County.